Since the Kia Forte is such a compact vehicle, its features can come as quite a surprise. This sedan is equipped with great technology, including Apple CarPlay and Android Audio Connectivity. When you add in its fresh style, new engine option, and high fuel economy, the Kia Forte is tough to beat! Experience all that this vehicle has to offer at Mike Shaw Kia! Why Buy the Kia Forte? The new Kia Forte shows other vehicles in its league that it is a competitor to be noticed. Though this vehicle is compact, it has a roomy feel inside. Travelling passengers won’t feel cramped during long road trips. Additionally, this sedan possesses multiple desirable features for drivers of the current age. Experience the easy-to-use controls, as well as the 4.3-inch touchscreen that is available on all trim levels. Have you seen the various trims in which this vehicle is available? As a sedan, the Kia Forte can be selected in LX, S, or EX. The hatchback Forte5 is offered in LX, EX, and SX trim. Drivers can also take advantage of the new two-door Forte Koup, which will be available soon. The power and performance levels of this vehicle are exceptional. To start, both the LX and S sedans are built with a 2.0-liter four-cylinder engine. For these vehicles, this engine produces 147 horsepower and 132 pound-feet of torque. On the other hand, the EX sedan also has the 2.0-liter four-cylinder engine and can generate 164 horsepower and 151 pound-feet of torque. When we focus on the Forte5 SX trim, we notice that it comes equipped with a turbo 1.6-liter four-cylinder engine. This engine is expected to produce 201 horsepower and 195 pound-feet of torque – the highest number for the Kia Forte model. Stop by our dealership to decide which Forte trim would best accommodate your needs. While car sales appear to be slumping with most manufacturers, someone forgot to tell Kia the news. The Forte has actually been leading the sales pack for the brand lately. Given that success, it only makes sense that Kia would want to stand pat on the Forte for the 2019 model year, right? Wrong. Kia has actually completely redesigned the Forte for the new model year. There is a brand-new style on the car, and the 2019 Forte is actually longer, taller, and wider than the outgoing generation. Just like every other model in the Kia lineup, the 2019 Forte also comes with a boatload of interior features on every trim level. Speaking of trims, you’ve got four to choose from in the lineup: FE, LXS, S, and EX. With its totally new look, even more features, plus great performance, we expect the 2019 Kia Forte to continue to rank among the most appealing compact cars in the automotive industry. 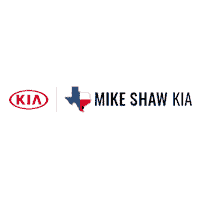 Why Purchase from Mike Shaw Kia in Corpus Christi? Mike Shaw Kia offers a variety of excellent vehicles to choose from. Find the Kia Forte that you have been searching for at our dealership. Our expert sales staff will go above and beyond to assist you with deciding which trim level would best fit your needs. Don’t settle for less than you deserve. Visit our Corpus Christi dealership for a selection of great vehicles, today!